SEO endures as one of the toughest concepts to grasp when it comes to digital marketing (which isn’t helped by its overlapping with social media, content marketing and website usability). While it can be tempting to dismiss SEO as too complicated, too time-consuming or simply too frustrating, here we want to explain why SEO is most certainly worthy of your time. 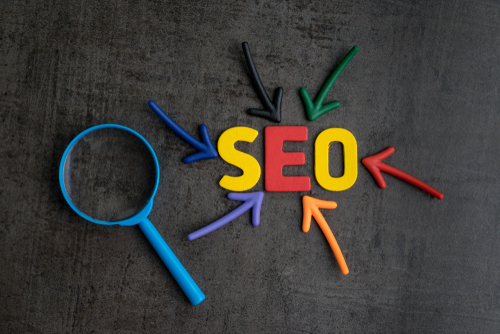 First, a foundation – what is SEO, anyway? SEO, or Search Engine Optimization, is a marketing process that aims to improve your ranking in the search results of engines such as Google, Yahoo!, Bing and more. SEO involves a whole heap of things that ‘signal’ to the search engines that you’re worthy of a good position – from ‘on-site’ factors – such as plenty of fresh blog content, well chosen keywords and a good web visitor experience, to ‘off-site factors’ – which includes everything from your social media standing to links back into your site. Because search engines never divulge the exact calculation they use for figuring out which websites to place where, no one’s quite sure just how much things such as content and social efforts impact search position. It’s all a matter of educated guesswork. So, as you may have guessed – SEO takes time, LOTS of time. It also demands expertise and always, alwayskeeping an eye on SEO news and an ear to the ground. Because nothing ever stays the same SEO land for long. Now you know what SEO is, let’s take a look at why it matters. “What’s better – PPC or SEO?”. Debates have raged around this question for time in memoriam. Yet we’re not quite sure why, as both offer very different advantages. While PPC can provide instant results, and has a proven ROI (sometimes by as much as £2 for every £1 spent), SEO can drive brand awareness, trust and sustains itself as long as you have a plan in place (compared to PPC, which stops as soon as you stop paying). Organic listings (e.g. those that appear in the search results through SEO work, rather than payment) also hold the lion’s share of click throughs, with 70-80% of users ignoring the paid ads altogether. All in all, PPC and SEO should go hand in hand, and are most powerful when used together (look out for our future blog on why PPC can see you eclipsing your sales figures within a matter of months). In 2016 alone, Google “near me” searches increased by two times over. In summary, those stats show growing numbers of searchers, who are ready to buy, visit or call your business. So rather than SEO not mattering, you could say that as a local business, SEO is even more important (and potentially profitable) than for big businesses. We’ve been around since day dot com – when people where wondering just what ‘surfing’ the net actually meant, and dial up tones were deafening. We’ve seen SEO transform and change, and we know just how valuable it can be when the strategy is right. Want to talk about what SEO could and should be doing for your business in 2018? Call the team on 01953 852939 or send us a message via our contact page, and we’ll be right back in touch.